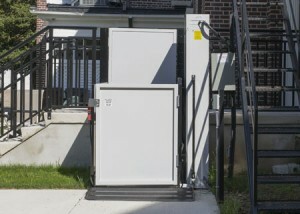 Butler Mobility’s Inclined Platform Wheelchair Lifts are manufactured in Pennsylvania, USA, are custom built to your size specifications and needs, and are easy to install and maintain. No structural modifications to the home are required to install our lifts, nor will the lift block the stairway. Our inclined platform lifts are ADA-compliant and meet or exceed all National Safety Code (ANSI/ASME code) requirements. All electrical components are UL® certified, and the unit requires only standard household current and a dedicated standard outlet. Our power transmission has been certified by Met Laboratories, Inc. to ASME A 17.5 /CSA B44.1-11 meeting approved standards for Elevator and Escalator Electrical Equipment. 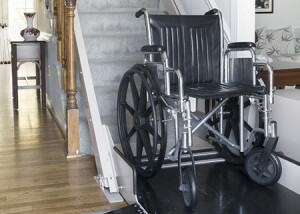 The Butler Mobility inclined platform lift is certified to lift 750 lbs (350 kg) capacity. Premium quality electric dumbwaiters! Butler Mobility offers the highest quality, most flexible line of dumbwaiters on the market today. We offer 8 standard dumbwaiter sizes or we can provide a custom dumbwaiter to meet your specific needs. 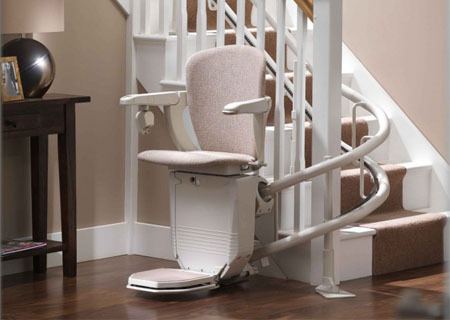 Stairlifts that are thoughtfully designed to be safe, reliable, attractive and easy to use. 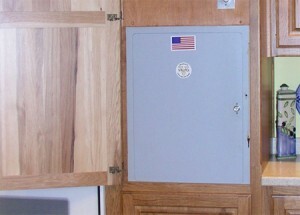 A practical, easy and inexpensive solution to total access of your home! Butler Mobility is distributor and installer in south central Pennsylvania for Stannah Stairlifts. Stannah is a family owned business with over 140 years of experience in the lifting industry – challenging and setting standards in stair lift design for more than 40 years – with over 600,000 satisfied customers. Butler Mobility Products now provides and installs vertical platform lifts manufactured by RAM Elevators and Lifts. This line of vertical platform lifts is safe, reliable and easy to operate. We can provide a vertical lift for practically any accessibility need: residential, commercial, indoors, outdoors, porch, enclosed, portable or a home elevator lift.